Last year's event was a great success and videos of many of the presentations have been viewed on the dedicated GGI YouTube Channel by almost 9000 people for about 100,000 minutes (that's over 67 days). So this 3-day event has already left quite a legacy. 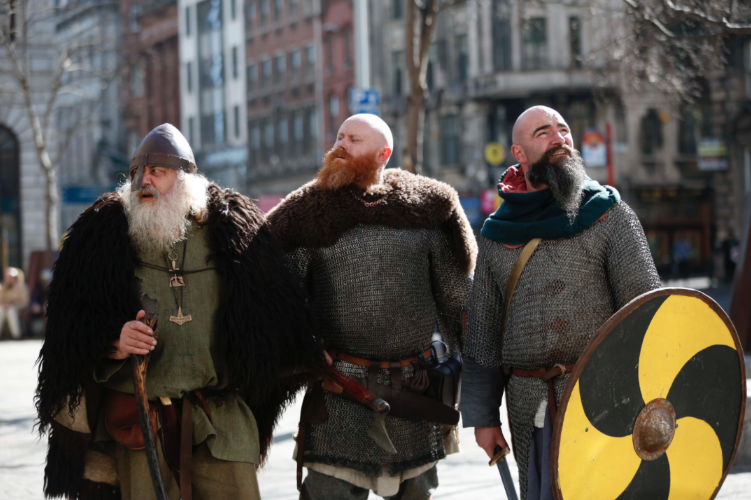 This year in Dublin we have two commemorations of intense historical significance - the Battle of Clontarf in 1014, and the start of World War 1 in 1914. Both these historic events are reflected in the lecture schedule for the event, which promises to make this an occasion to remember. Now is the time to make your arrangements for coming to this year's event and below you will find all the information you need to plan your travel and accomodation. 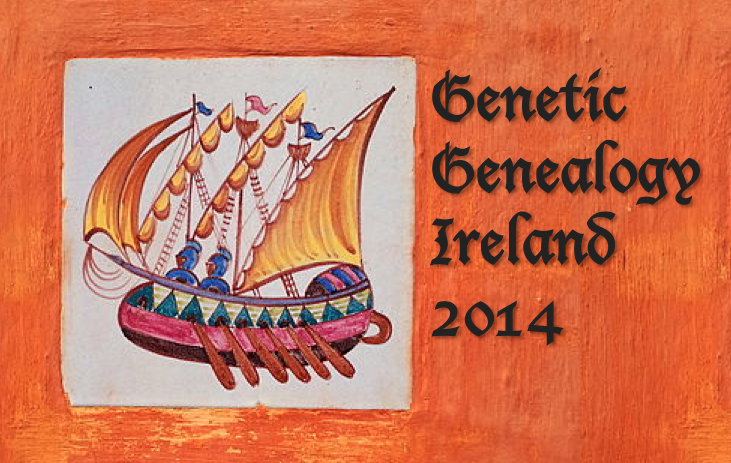 Event: Genetic Genealogy Ireland 2014 – a series of DNA Lectures, held in conjunction with Back to Our Past, Ireland’s only national genealogical exhibition. Admission Fee: 10 euro (about £8, $13.50) per day, but 30% discount if booked in advance at http://www.backtoourpast.com/mysitecaddy/site3/visitortickets.htm, so 21 euro (£17, $28) for all three days. This gives you access to EVERYTHING including the DNA Lectures. 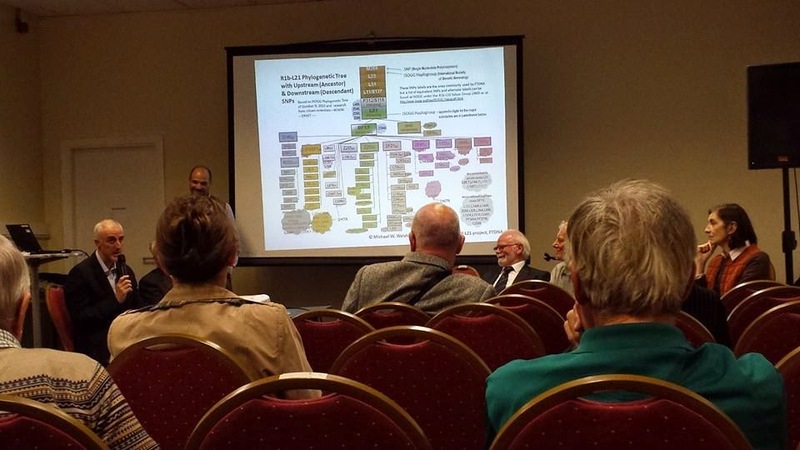 No other genealogical exhibition offers you so much for so little. The only real costs involved are getting there and staying there. The RDS (Royal Dublin Society) is Ireland's premier exhibition venue. Founded in 1731, the RDS hosts the famous Dublin Horse Show each year and its Exhibition Centre is equivalent to London's Olympia (where Who Do You Think You Are? Live is hosted each year). It is surrounded by parks, restaurants and affordable accommodation, from Bed & Breakfasts to reasonably-priced hotels. The venue is 15 minutes from Dublin's historic city centre, 5 minutes from Lansdowne Road Football Stadium, and is easily accessible by public transport (both bus and DART). Click here for a link to the RDS on Google Maps. - and the DNA Lectures ... http://www.backtoourpast.com/mysitecaddy/site3/dnaschedule.htm. 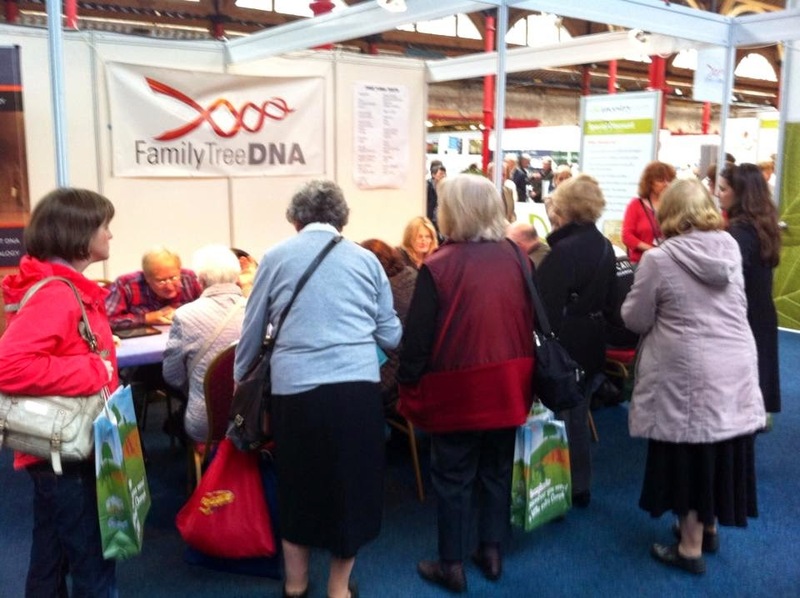 This year’s traditional genealogy programme should be available 4-6 weeks prior to the event and we will notify you of this in due course. The final schedule should be available in August and will be posted on this GGI website. The lectures will run from 11.30 to 18.30 each day (12.30 to 18.30 on Friday). The last lecture of the day starts at 17.30. Thus there will be 7 lectures each day (6 on Friday), 20 lectures in total. A variety of Bed & Breakfast and hotel accomodation is close by. Click the links below to explore further. Last year, several US colleagues stayed in the Glenogra Bed & Breakfast which is a 4 minute walk to the venue. Two deluxe hotels are almost opposite the Glenogra, namely the Four Seasons Hotel and Bewley’s Hotel. The more reasonably priced Sandymount Hotel (formerly the Mount Herbert Hotel) is also quite close. The First World War claimed the lives of over 49,000 Irish soldiers and their contribution is remembered at the War Memorial Gardens. A variety of events related to the centenary commemoration are ongoing in Dublin throughout the year.